Almost everyone has a wallet. Almost all of us use it daily. However, we tend not to spend much time at all, if ever, being concerned about how it's organized. Today, we put an end to that! 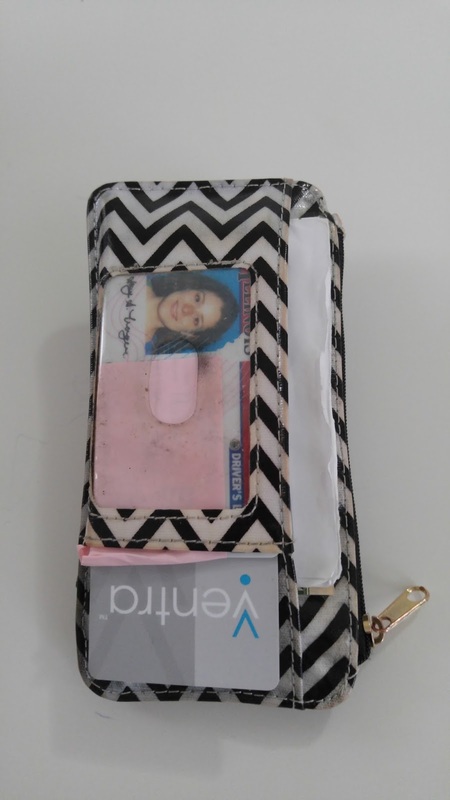 Here's a picture of my own wallet. I only carry the essentials. Most store reward cards can be looked up at the register by your phone number or email address, so there's no need to carry those. My wallet holds what I need, any given day, at any register around town. Movies. Two movie theater discount cards and a free pass for a third theater. I never know when a movie will strike! Random Places. My voter ID card, my library card and a punch card for an ice cream shop. This pocket alone says a lot about me, I think. Reward cards. For store that don't seem to ever have my number in their system. Two clothing stores, an electronics store and a housewares store. Driving. My AAA and car insurance cards. Money. The two credit cards I use regularly and my debit card. Flip to the other side. There are two pockets here, one visible, one hidden. In the visible pocket I have my photo ID. Tucked behind that is my Ventra card (for those outside Chicago, this is my pass for riding all public transit in the city). You swipe it across the turnstiles to enter. By having it near the outside of my wallet, I'm able to grab my wallet out of my bag, swipe it, enter the train station with ease and toss it back in my bag. No fumbling around and holding up the line looking for a single card. In the hidden pocket, I carry any gift cards I may have. Since it's just a month or so past the winter holidays, I have a handful currently. One was emailed to me, so I printed it up and stuck it in there. Otherwise, I know I'd forget I even had it. 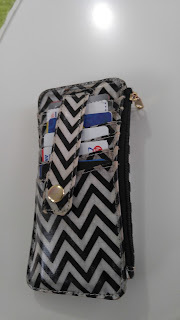 The zipper pocket holds any cash I may have on hand, change included. Not too bulky. Easy to find what I need. Just the essentials. Including the ice cream card.